Activist investor, Daniel S. Loeb, has revealed that his hedge fund, Third Point, is now the largest shareholder in Sotheby’s holding 9.3% of the outstanding shares. Known for his stellar results and previous shareholder activism at Sony and Yahoo Loeb has now turned his sights on Sotheby’s writing an open letter asking for the resignation of CEO William Ruprecht. He is also asking for a seat on the board for himself, and various people he would recommend, whilst claiming Sotheby’s has lost its way and is falling behind its rival Christie’s. Although Sotheby’s has declined to comment on the letter as yet they must be uncomfortable with the attention. 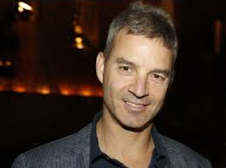 Loeb’s activist approach has produced significant profits for his fund in the past and discomfort for his targets. In 2012, using Third Point’s 5.8% of Yahoo’s stock Loeb forced the resignation of Yahoo’s CEO Scott Thompson, revealing that Scott had never received the computer science degree he claimed. Loeb then joined the board himself. Sotheby’s has attracted significant investors in the past such as Steven Cohen and Alfred Taubman. Taubman famously said that selling art was no different from selling root beer but this predictably turned out to be untrue and his investment ended badly when he got caught up in the price-fixing scandals between Sotheby’s and Christie’s and ended in jail. Cohen is believed to have made a profit but he also has had his problems of late. So Sotheby’s is no stranger to outside investors taking large stakes and then trying to tell them what to do. Loeb is not the first investor to think he understands the art market after buying a few works by the likes of Richard Prince but Sotheby’s have been successfully selling art since 1744 and know this rapidly changing and hugely complicated market as well as anyone. They will be selling art long after Loeb has taken his profit or loss but in the short-term it will be interesting to see how this develops. I had a chance to meet you in Paris, when Third Point was listed few years ago, a major French bank I was working with at that time being your sponsor. Since then, I have created my own art trading company and would be delighted to demonstrate how Sotheby’s is selling fakes on purpose, creating terrible damages to art and is NOT compliant with regulatory rules in various countries for years. Everyone can produce Damien Hearst’s butterfly – anyway it was done by his numerous slaves. My teachers are Kandinsky, Malevich and Filonov.
. I studied in Moscow and reside in Jerusalem.